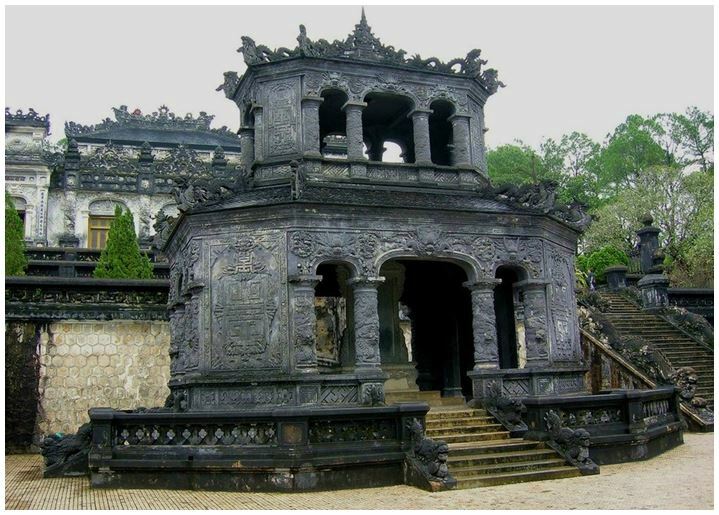 Hue is an ancient city located in the Central part of Vietnam. It lies on the banks of the perfume river. 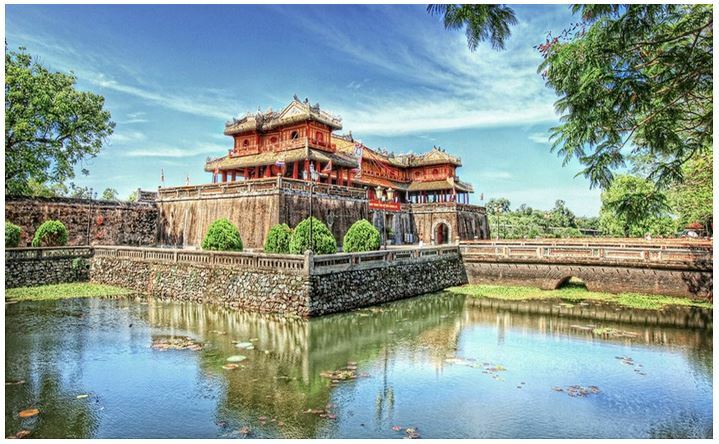 For several centuries, hue was the capital of the Nguyen Empire that preserved many historic and cultural attractions, Imperial palaces, tombs, pagodas. 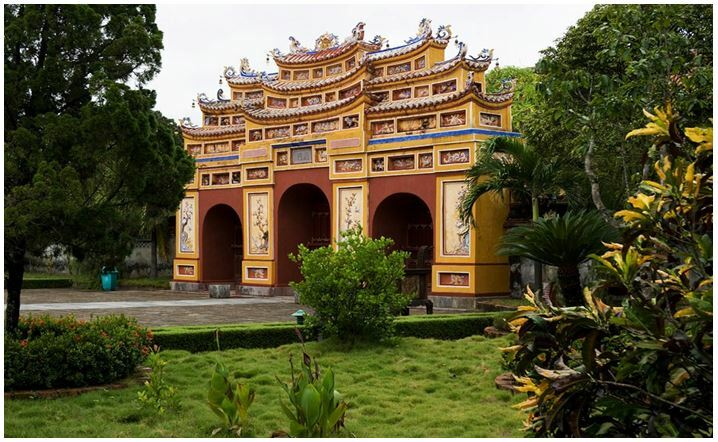 The city was and remains the main center of education, culture and religion of Vietnam. The rulers of many countries wanted to have a private place where access would be open only to the elite. In Vietnam, this place was Forbidden purple city, which lived the Imperial family and their entourage. Over 500 years have existed the city, to get into which was a dream almost all inhabitants of the country. But in 1968, the American army completely destroyed the city. From the former luxury was almost nothing left – only small fragments of the buildings of the library and the theatre. Not so long ago, Forbidden purple city was listed as a world heritage site by UNESCO. The Imperial Palace is in the centre of Imperial citadel and consists of Thai Hoa Palace, the inner court, Meridian gate Kung Let, garden and several temples. The territory is vast, growing a variety of herbs and even a tennis court. Here you will be able to visit the Museum, which will see the apparel of the great emperors, and where you will in detail tell about the city and its centuries-old history. The Emperor Minh Mang, the second Emperor of the Nguyen dynasty ruled the country from 1820 to 1840. The Emperor had 32 wives and 107 concubines father, he became 142 times. Minh Mang was a very superstitious man, believed that if someone abused the burial, the family of the deceased that will forever end their existence. So no one knows exactly where, in the territory of the tomb, is a secret place where the body is buried the Emperor. 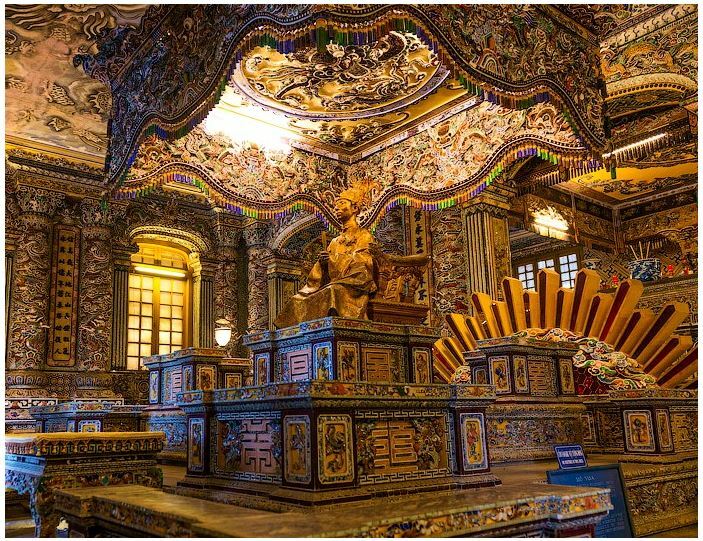 His tomb is one of the most beautiful and the largest in hue. 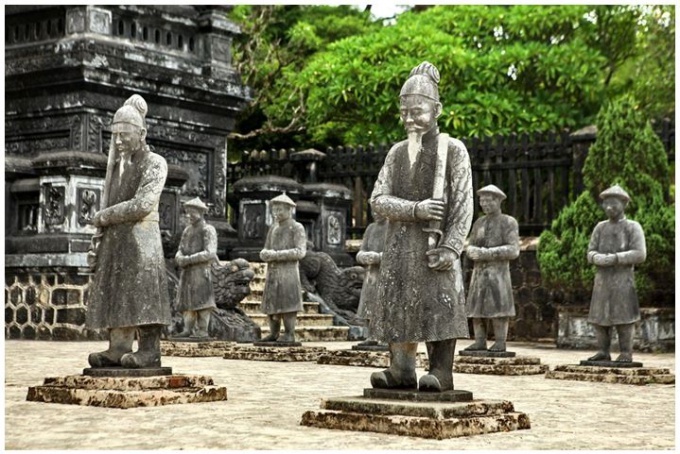 The Emperor Tu Duc – the fourth Emperor of Vietnam. Ruled Vietnam from 1847 to 1883. Because of his actions Vietnam lost its independence. By nature he was creative, he wrote poetry, and was known for his huge love of luxury. He was remembered in history as an indecisive, weak and unsuccessful ruler. And even that had over 100 wives. 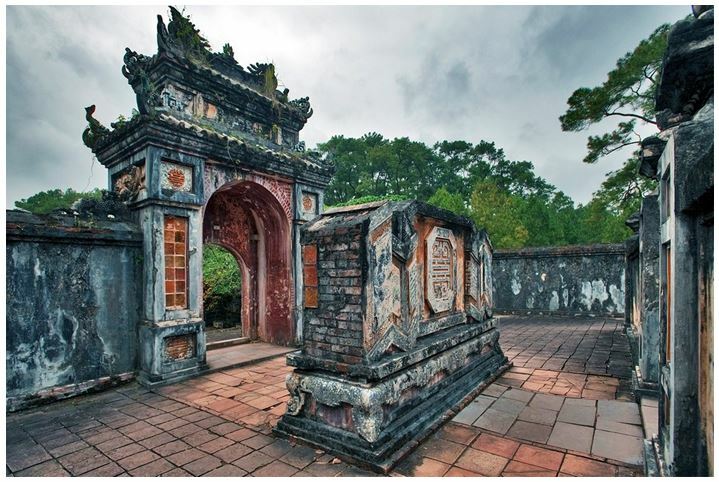 His tomb of Tu Duc designed himself, for its construction took more than 12 years. He so loved this place that even when life moved out of the Palace and settled here. On the territory of the tombs with an area of 12 hectares is located more than 50 buildings. Khai Dinh was the last Emperor of the Nguyen dynasty. He ruled Vietnam for 9 years, from 1916 to 1925. Remembered in history as a reformer. The tomb was built during the life of Khai Dinh, on the hillside. To get into it, you need to overcome a lot of steps. The architecture of the complex combines both Vietnamese and European traditions. Once inside the tomb, you will feel the entire Royal swing – painted ceiling, finishing of ceramics, and stained glass. Inner hall, where the relics of the Emperor, immersed in gold. And views of the city opens from here is just gorgeous! 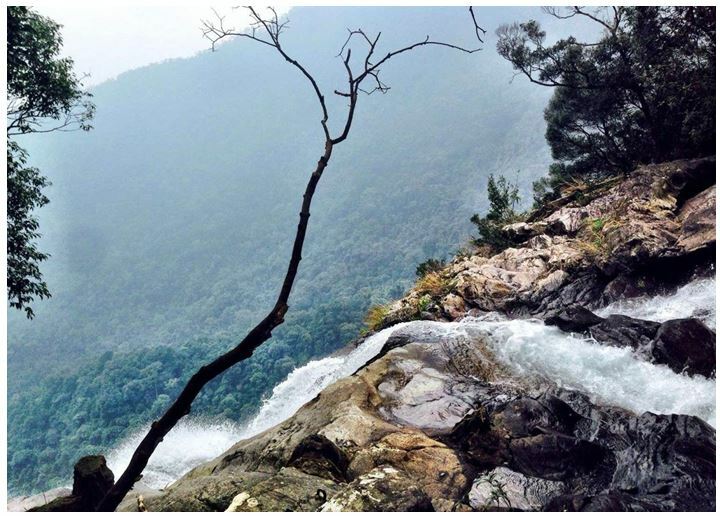 In the vicinity of hue, national Park, Batima, who also deserves a lot of attention of tourists. 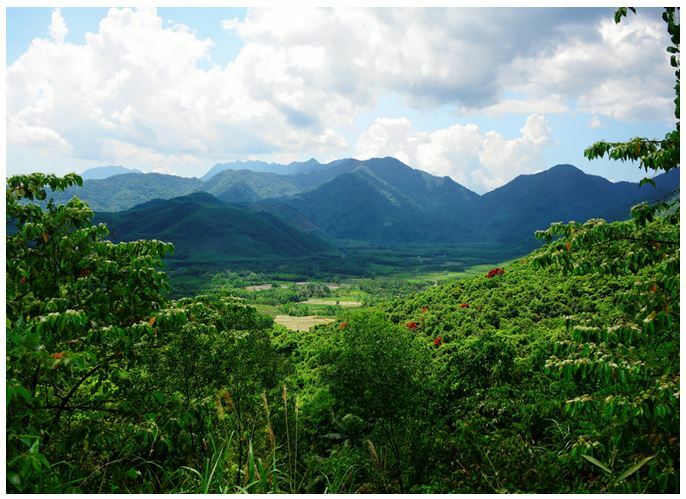 The Park is located on the territory of more than 200 sq km, the Park's main attraction is its mountain with a height of about 1500 meters. Flora and fauna the Park's amazing and diverse for tourists developed many Hiking trails. The most popular route – "Pheasant trail", lies at an altitude of 500 metres, through the rainforest and ends at about the purest mountain stream with many small waterfalls. 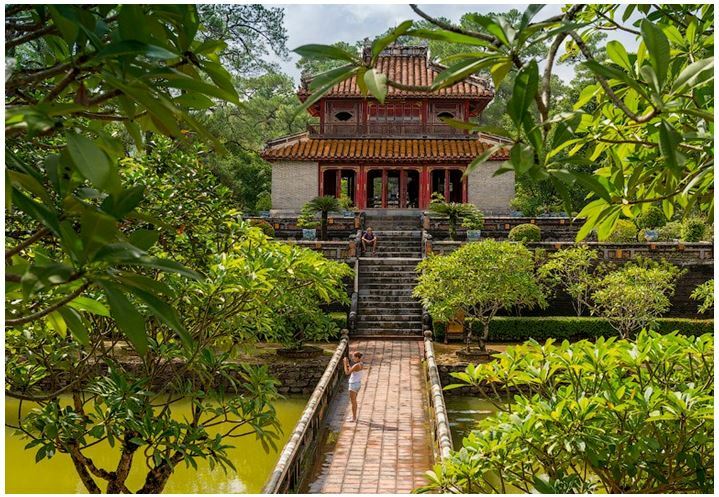 Everyone who visits the city of hue, you will find and discover something new. Someone will inspire his story and help better understand this country, someone will enchant nature and give new strength, and someone will want to return again and again to the city of centuries-old traditions that hides many mysteries and secrets.